From our inception, St. Croix Foundation has been committed to developing high impact programming for our most important community stakeholders—our youth. In 2009, we formally established a Youth Advisory Council (YAC) with start-up funding provided through the St. Croix Foundation’s Matt Miller Fund. Comprising local middle and high school students, our YAC is teaching members about philanthropy and shaping them into burgeoning grantmakers, as they award grants to youth-led community projects. Council members are also identifying ways to ensure that the voices of youth are heard, organizing youth forums for their peers and exploring a range of relevant issues like career development, mentoring and civics. 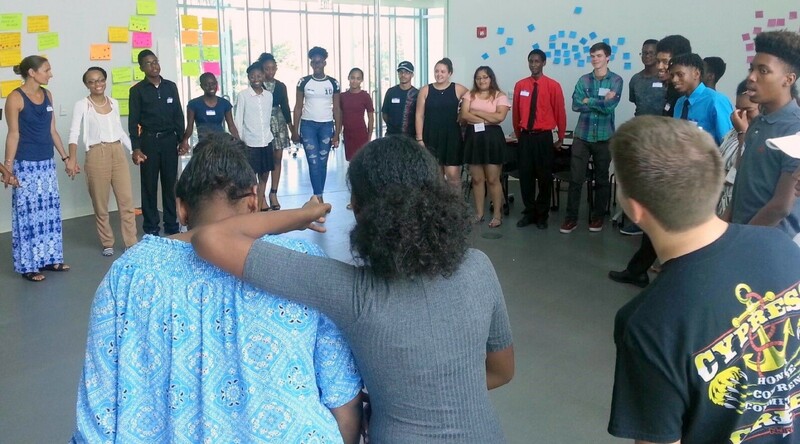 In 2012, they conducted a comprehensive survey of 900 of their peers called Answers for Change; in 2014, they presented the body of their work at the National Youth Leadership Conference; and in the summer of 2017, they implemented SPARK, a cross-cultural reading intervention program for 21 at-risk second graders and hosted a youth leadership forum. That’s our young people – truly making a difference here and beyond our shores!